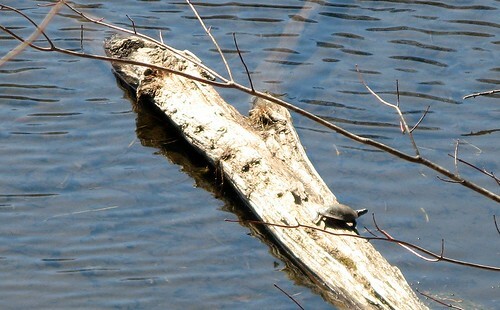 first turtle, originally uploaded by jahansell. Coming out of the mud where they spend the winter sleeping, they are looking for a spot of sun. Yesterday was warm and wet - today is sunny and back to windy and cold. I hate April - it gets your hopes up and then dashes them, over and over and over! Each year I vow not to be taken in, suckered - I vow to keep those sweaters out until the end of May - but then April comes and I can't stand to look at wool anymore - I just want to wear something soft and light - so I do, and I shiver all day long! hi hi. Are you the one managing the theme of day ? If yes could you add me to the list.